He’s a monster, he doesn’t actually work. If he did, where would he spend his money? Duh. Soft purple fur, large eyes and a toothy smile. 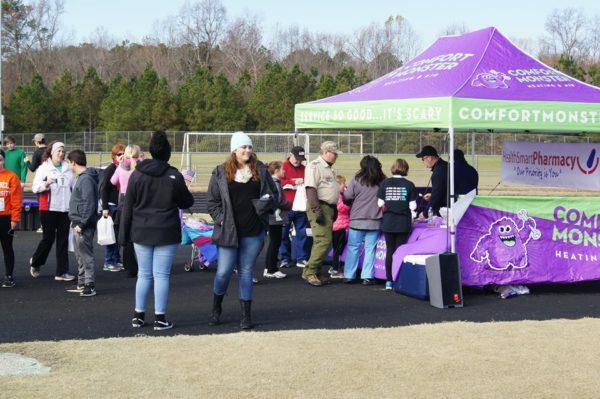 Sporting events, being involved in the community and sleeping. Comfy is a friendly monster. 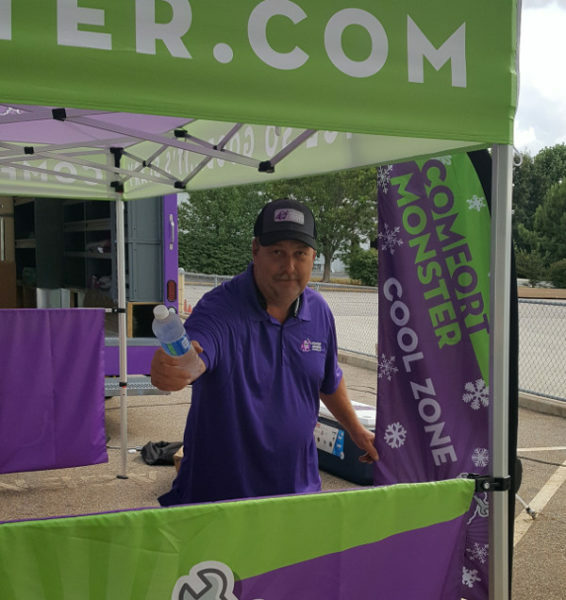 After spending his early years living in closets and under beds, he found a home doing what he loves at Comfort Monster Heating and Air. 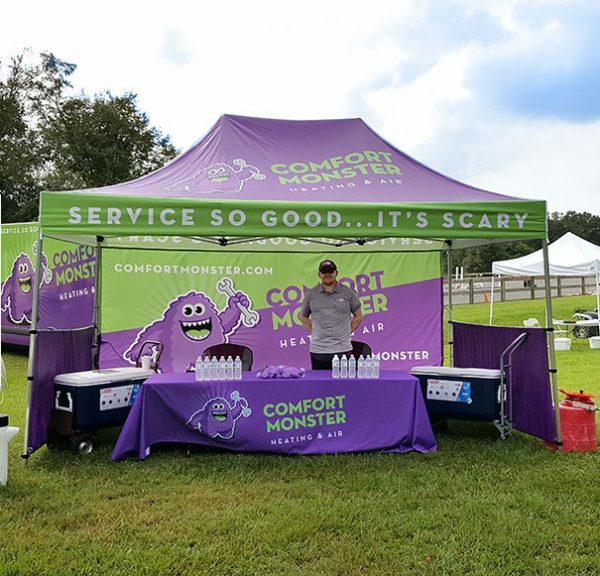 Comfy believes that everyone should have a comfortable home and workplace and is doing his part to help. Invite Comfy-ness to your event. Why do we do this? 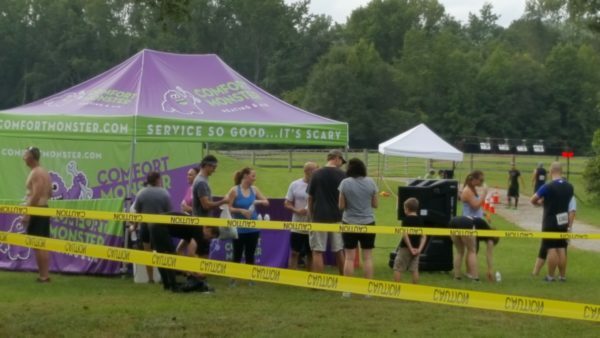 Comfy loves to be involved in the community, we get great exposure at your event and you get to add some extra fun and excitement to any event while making your guests more comfortable! Comfy loves being invited to parties, and he won’t let us charge you a penny for the stuff he brings. If Comfy doesn't work, then why does he carry a wrench? Why do hipsters dress like lumberjacks and smell like bacon? It’s part of his outfit and persona. Plus if someone from our team needs a wrench to do actual work, he can hand it to them. Has Comfy ever eaten anyone? Of course not. He’s friendly, and his diet is pretty much like any other vegetarian, with the exception of HVAC refrigerant (which we think is a little weird). Does Comfy hibernate in winter? It’s very important to keep Comfy comfortable. As long as he maintains the perfect environment for himself at about 72 degrees, he doesn’t need to hibernate. Does Comfy know how to swim? Yes, but not very well. You will note that whenever Comfy is around the water he wears his floatie. He also is very careful about his fur and his large eyes. He wears sunscreen and sunglasses. Has Comfy ever considered running for public office? 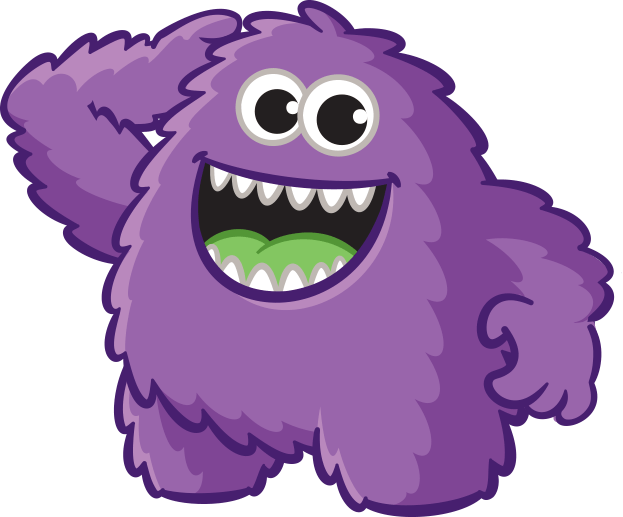 Comfy appreciates the compliment but he has found that his true passion is doing virtually nothing all day while watching his friends at Comfort Monster work. He likes to call that "managing." He finds that stress gives him premature wrinkles and makes his fur frizz, and he doesn’t need that. Under our founder's bed mostly. Although sometimes he prefers the closet. Does Comfy have any brothers or sisters? Not that he’s told us about, but he does have some famous relatives. The Loch Ness Monster: second cousin. Abominable Snowman: his great uncle on his mother’s side. No big deal. What does Comfy do for fun? In winter Comfy likes to relax in his favorite chair next to the fire with a cup of hot chocolate and a good book. His favorite is Where the Wild Things Are by Maurice Sendak. In summer Comfy likes to travel to his old home in the mountains where it’s a bit cooler. There’s nothing Comfy likes better than a good nap though. What happens when Comfy gets uncomfy? Whoa boy... that happened once and let’s just say that Comfy turns into a real animal. It’s best to keep Comfy... well... very comfy. Comfy’s fur always looks amazing. Can you tell me how he takes care of it? Comfy has naturally good genes, but besides that he uses mane and tail shampoo and brushes his fur at least once a day. He also spends a good deal of time at the spa and there’s nothing he likes better than a good mani-pedi. NEW! Get your own mini-Comfy to live at your house! Now available in all 50 states – Get your own plush mini version of Comfy for only $14.95, with FREE shipping! Take your Comfy somewhere fun-- Then post to Twitter with #getrealcomfy and you could win! Comfy can let you know when there is something important happening.